LOW MILES!! 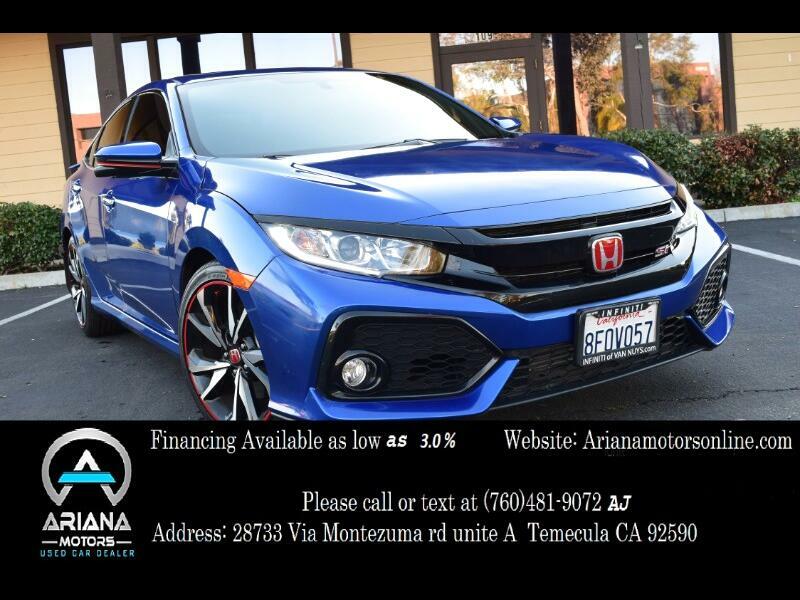 2018 Honda Civic SI, 1.5L L4 Engine, Automatic Transmission, Salvage Title with 3,011 Miles. Salvage title is due to front end accident that has been fully fixed and runs and drives excellent. This Civic is absolutely beautiful with its blue exterior and black cloth interior. It’s equipped with Back-up Camera, Bluetooth, Heated Seats, AM/FM Stereo, Steering Wheel Controls, Cruise Control, Child Safety Door Locks, Driver and Passenger Airbags, Fog Lights and many safety options. If you’re looking for power and style then this car is for you! It drives like beauty with plenty of options it won’t disappoint. Call today for financing options or with any questions.